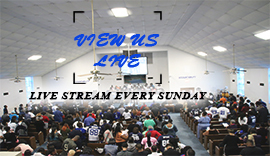 Monday thru Friday 6:30 a.m-6:30 p.m.
Our worship services are broadcast live every Sunday. An archive of services is available for you to view also. Greeting in the name of the God our Father, His Son Jesus Christ our Savior, and Holy Spirit our guide. 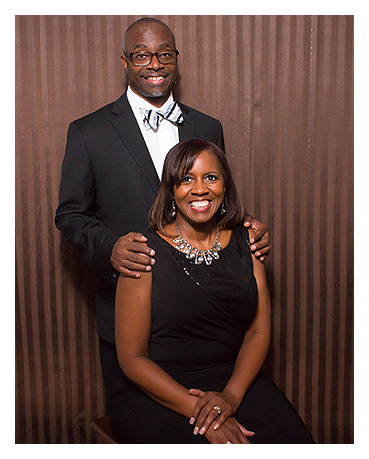 Hopewell's church family would like to welcome you to our website. We invite you to contact us through our website, as well as visit the church. Our hope is that you will come worship God with us. Our mission is predicated on the Great Commission and the command of Christ to develop disciples. 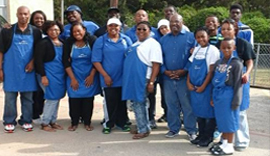 We are passionate about providing hope through Christ and tangible provisions to the community. 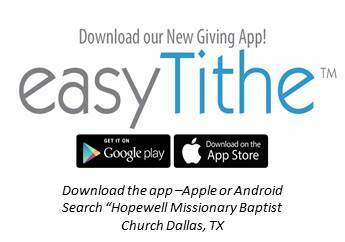 We welcome you to come and help us carryout ministry, within the community or supporting our efforts through online giving to our church. Our prayer is that Christ Jesus is exalted and God the Father will be glorified. We welcome you to also share prayer requests with us. 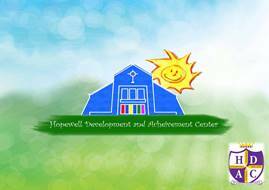 Hopewell believes that the earnest prayers of God's people accomplish much. May God's favor rest upon you! S.W.A.T. - Studying the Word of God Actively on Tuesdays.